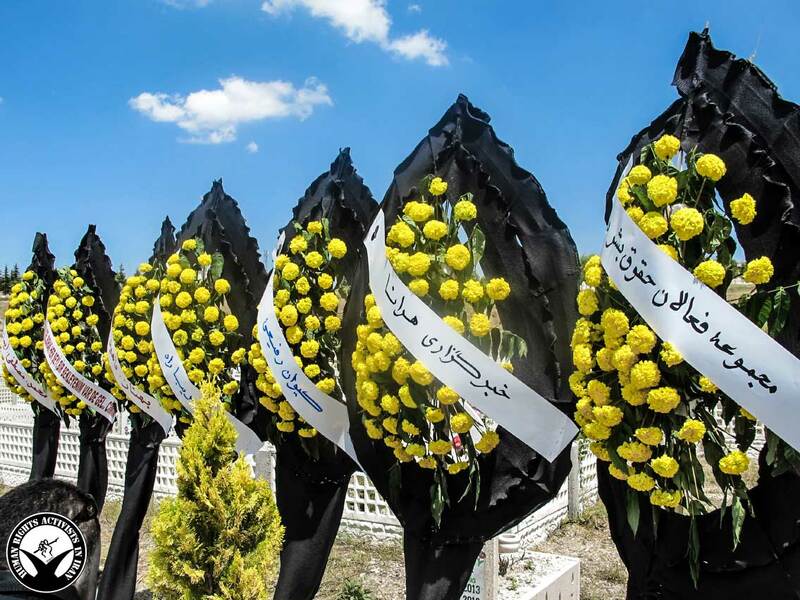 Peace Line Monthly – “Human Rights Activists News Agency (HRANA)” which serves as the first professional human rights news agency in Iran, has announced its purpose: informing and educating the public in a way that benefits the victims of human rights violations. How has this news agency which is a compilation of journalism principles with a taste of Human Rights, performed? As journalist, what do you believe is the greatest strength of HRANA or its positive difference over the past years of its activities? This topic has been discussed with the journalists and those in the media. 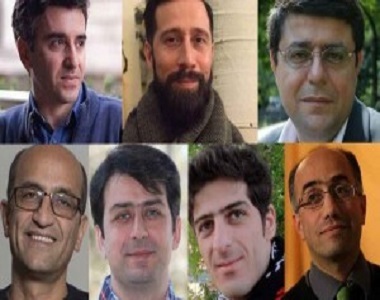 The following is a summery on the views and comments made by Kambiz Ghafouri, Jamshid Barzegar, Morteza Kazemian, Siamak Ghaderi, Reza Haghighat-Nejad, Reza Haji-Hosseini and Kaveh Ghoreishi, in regards to the news agency of the Human Rights Activists in Iran, HRANA, on its 10th anniversary. It is noteworthy that HRANA news Agency, started its work in March 2009, 3 years after “Human Right Activists in Iran (HRAI)” had been established. HRA’s news agency, is one of the few news agencies that during the recent years not only has been able to survive and continue its productive activities, but rather it has improved day by day as I’m going to mention in details. For me, these two factors are important and have a fundamental role when looking at a news agency. In recent years, many websites have been created with similar motives as HRANA, but many of these websites have had a short life and many others were not able to be as consistent and far-reaching of HRANA in their work. The main problem for the media that are focused on Iran is the free access to information and news. These problems are doubled for the news agencies that work from outside of Iran and are several times more for the news agencies like HRANA that work on special topics like human rights. The existing barriers on the way of covering the news on human rights violations, has negative consequences for the news agencies and could even lead to mistakes in addressing the facts. In many instances, HRANA has been the first news agency to report on an issue or publish a news; nevertheless, it has not been without mistakes. In my opinion, the more HRANA is able to focus, and report on more reliable and more accurate news and also the more it’s able to refrain from publishing a news that it’s not sure of its authenticity, the more successful it will be on winning the trust of the audience and thus it’s impact will increase. I am well aware of the difficulties of HRANA’s work, but I’m sure that you are well aware of this fact as well. Nonetheless, HRANA has well shown that it’s aware of the fact that doing something difficult but necessary, has its obligations that at times considering the resources and ability seems impossible to follow, but following these obligations is as important and necessary as the goal itself. And at the end I like to mention, HRANA’s files stored by subjects and its rich archives are considered of the strength and highlights of HRANA’s work. I wish you success on the difficult yet important path that you have chosen. Violation of human rights in Iran in various fields, is an undeniable fact. This issue is to the extent that constant monitoring and reflecting is important, necessary and a priority. Distorting the truth, publishing lies and censoring the news that are related to fundamental human rights of the Iranian citizens by the media and propaganda arm of the government, threatening the independent publications and those that are not in line with the central power by taking advantage of the tools of intimidation, arrests and bans, and also spreading self-censorship in publishing news related to the violations of human rights of the citizens of Iran by the media based in Iran, are just to mention a few reasons why following human rights and monitoring its issues in Iran and publishing news related to by the ruling religious dictatorship violations of human rights, by the independent media are necessary and of great importance. 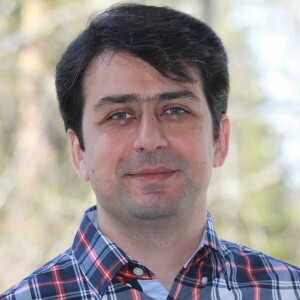 Even though in the age of communication and information technology, there are many news agencies and media that report on human rights violations in Iran, based on their own political and ideological priorities; but I believe, HRANA has been able to by focusing on this issue, and with persistence, perseverance and praise worthy pursuit, and also by benefiting from multiple news channels and also their own special channels, write and publish the related news on time. HRANA’s efforts in this regard is notable and praiseworthy, especially after the electoral coup of 2009 and the violent and bloody repression that followed. 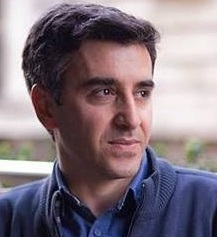 Although HRANA’s work has not been without mistakes and shortcomings which in journalism, especially under the shadows of the dictatorship in Iran is inevitable; but the increasing progression and quality of the work has been noticeable, and has made HRANA one of the important news resources in regards to the violations of human rights in Iran. In short, continuation of HRANA’s work, its human rights output with disregarding boundaries that are inconsistent with human rights, its increased in quality, quantity and speed in publishing news and articles, are to mention some of the peculiarity of HRANA which unfortunately are not widespread within other similar medias in this field. AbuSaid Abolkhayr, the famous fourth and fifth century mystic, says: “May god blesses all who take a step forward”. From such a perspective, the founders and activists of HRANA deserve “god bless” for their efforts. The first, goes back to the years I was in prison. At the time I shared ward with a few young activists of HRAI. 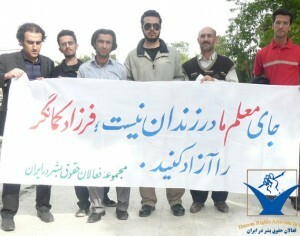 Even though these youth were not professional political activists, yet they were so committed to their path and believes that they stood by it and insisted on it the whole time during their detention; in fact they were released after serving their sentence and by passing the customary judicial process. Therefore meeting these young people was very interesting to me. The second way I got to know HRAI, was due to the non-discriminatory news published by its news agency. Indeed, for all of us whether when we were in the prison and transmitted news out of prison (I worked for Kalame news agency during and before my imprisonment, and one of my charges was related to this activity) or now, has always been considered important to us that a news agency without having any political direction covers the news of violations of human rights, so that we could trust them. 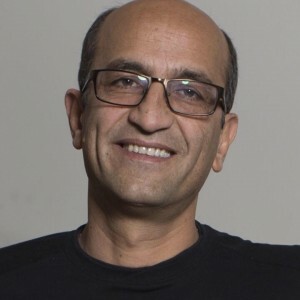 HRANA a lot less than other websites and even in comparison to bigger news agencies, would be regarded with this weakness and criticism and this precisely In line with the mindset behind the statements that “Human Rights Activists in Iran (HRAI)” publishes. It should be noted that HRAI and HRANA have been of great importance and have had great impact, as an independent source of the human rights news in Iran for the past 10 years, coinciding with the civil protests and movements in the country. As far as I know, HRANA started its activism in 2009 close to the time of the people’s protests and movements in Iran, and currently is active for more than 6 years. Despite the fact that, in this period we witnessed the emergence of many powerful websites with strong political and economic backings such as “Kalame”, “Jonbesh-e Rah-e Sabz (JRS)” and Rooz that did put in a great effort, and we as journalists appreciate their efforts and consider their work important; but a media should be able to stand pass the waves and turbulences. Considering my 20 years of experience in journalism and media, I am aware of the difficulties and issues with establishing an independent news agency, issues such as financial, organizational and human resources, and it always has been a question to me that how does a news agency without any specific strong budget survive for years and this is exactly what HRANA has done. Personally I think, it’s because of its strong believe. In fact those who work in this field, truly believe in their work, and such believe, compassion and organization could not easily be created. It is interesting that HRAI with the use of the principles of human rights, has organized and analyzed the activists’ efforts and directed it all towards a good news agency; and the result and outcome is the website of HRANA. In this regard, the organization should be thanked for creating and continuing such an organized organization. 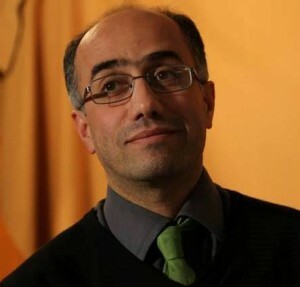 I would like to specifically mention Jamal Hosseini who has been the editor of HRANA for many years and have put in many efforts in this path before passing away. In the history of the media, he is remembered as an influential and reputable person, and for standing by these profession work principles, I bow and tip my hat to him. On a cold sunset of one of December day in 2013, I’m walking up a cold an empty street in Nevshehir, turkey, we are supposed to meet at a restaurant with a few Iranian Refugees. My journalist friend points at a building: “that’s HRANA’s office”. He also worked there. I wanted to know more, to go upstairs and see what’s happening there, but it didn’t happen. I had heard of HRANA before. A couple of times I heard from my journalist friends “again HRANA Published a Lie”, even when we wanted to publish a report about political prisoners on IranWire, these statements had stuck on our mind so much that, we were really careful not to use HRANA as a source, and if it was to double check with other sources. March 2014, I wanted to write an article in regards to Iranian Dervishes. I needed basic information, and anyhow I searched I ended up at HRANA, it was a complete source, I checked with other places, information were accurate. There were a few features that stood out. First, their news were first-hand. It was clear that they had a strong information network that delivers good and accurate news to HRANA. Many of the news were from inside the prisons. 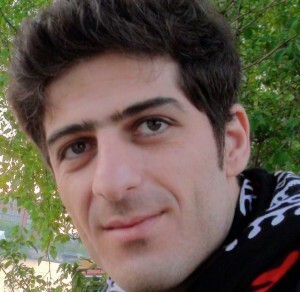 Fellows who have been in prison before and now had left Iran, and kept their connections to prison were able to make this potential into a news agency and a feature that distinguishes it from other news agencies. Second, keeping dossier. HRANA did not just leave the news. When one person was arrested, the process of the dossier, the sentence, the bail or the release could be looked up at HRANA. an important point was that there were no discriminations, famous or unknown prisoner , political or religious prisoner , from this religion or that religion prisoner, did not matter and this kind of grouping were not seen in HRANA and all the prisoners were covered equally. Therefore HRANA was able to create a strong and reliable archive. Later I found out they have a monthly report on human right situation in Iran. These all shown that behind HRANA there is an organization that has its own minds, has plans and has goals. When I combined my own observations with newspapers, letters from prisons or the library of the site, it was clear that many of the previous judgments of HRANA has been wrong. I truly believed and still believe that HRANA filled a great whole in the informing. The opposition, human right activists and activists of freedom of speech need professional websites like HRANA. I heard this from a human right activist, he said there is lots of talks about the tyranny that the women experienced early years after the revolution; what they have done to the virgin girls and so on. We wanted to create a report and truly examine these talks, but there were rarely any documents available. The activists, did not file these injustices. Government cruelty should be documented, recorded and kept. This doesn’t have much to do with informing, many of the HRANA news could be published by other websites without the mention of the sources like HRANA. This is not important, what really matters is that lack of a sufficient documentation of the crimes of the past 3 decades. Fortunately HRANA has filled a part of this whole and this is the best reason to respect and admire HRAI. However in those days, I didn’t know or met Seyed Jamal Hosseini the editor of HRANA. My journalist friends didn’t say anything about him either. It was summer of 2014 when I heard the sorrowful news of his death, I was very sorry, but it was too late. I remember those days, I started reading and query about Jamal Hosseini. There was a lot of news regarding his death and the reason behind it. His life had many interesting points. First of all he worked in networks for many years. And secondly, he believed in organizational and team work and he had worked in the HRAI’s organization and HRANA which is one of its branches for many years. And at last, he was hard working and diligent, many of us journalist lack these characteristics. Often many of us, when given the opportunity, instead of thinking and wanting to establish an organization or news agency, we would want to present ourselves as the media itself, and that is why we talk and share opinion about everything and we pretend to have the knowledge to do so. 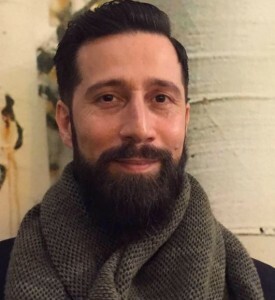 Jamal Hosseini along with is colleagues, worked in silence and efficiently financial wise and time wise, towards a specific goal, and had a role in establishing an organization and a supportive network of people. In recent months, I have written less articles about prison and I haven’t followed HRANA as much, and previously we were talking to a friend about what happens to HRANA without Jamal. Indeed HRANA was not only Jamal, he was a member of a greater network, but he was a key member. My friend was optimistic that HRANA and HRAI will continue their path, and I also hopped HRANA would continue its work with the same quality as before, and in those few times I checked, I can see, the same work ethic has been maintained. I believe continuing a legacy is very important. When looking at many of the fights in one’s life, from within the families which fights have been over inheritance of fathers wealth, to the highest level in government fights over inheriting the supreme leader position, many of this Tensions, deviations and incidents is due to lack of a knowledge and etiquette in carrying legacy and heritage. From the outside and where I stand, I can tell that Jamal’s legacy has been maintained. I think this is the best gift that could be talked about every year on different occasions such as HRANA’s birthday, Jamal’s birthday and even on the anniversary of his death. HRANA has been able to create and continue a smart and reliable network, especially within Iran, and with agility publish news and reports in various fields related to human rights. This organization’s performance, has led HRANA to be introduced as a main reference. I should mention, a news agency with 7 years of experience, is considered young; but it is also true that if an organization survives 6 months in Iran, it is a long life. But according to common standards, the fact that HRANA has been able to become a well-known media and a reliable source is great. Naturally in journalism there is always an error percentage, yet HRANA is currently in a position to be considered and referred to as a reliable source. Another important point in my opinion is that, HRANA shows a diverse range of news about the prisoners and groups, and HRANA does not hold back the news about a specific individual or group. I mean they do not discriminate in publishing or paying attention to certain individuals, with the excuse that a person belongs to a certain groups, faiths or parties. Regarding the audience and attracting the audience, two points crosses my mind when thinking of HRANA: firstly would be the way HRANA’s website looks, I believe it could be more attractive and interesting. In my opinion the website looks bitter currently; perhaps this feeling could stem from the fact that HRANA’s news are often sad news, and naturally that it-self changes the way one sees the website, yet if the website looks happier and changes are made to the way it looks, possibly it could be more visually appealing to the audience. Another point worth mentioning is that, how influential HRANA is on its audience. Currently it seems like that most of HRAI’s activities are for other media and other human right groups. I don’t have definite information in this regards, and perhaps HRANA itself knows better and is aware of its influence and how wide-spread it has become; that means, how much of general public visits the website and if you have been able to attract various internet users. However, it is not wrong, if it’s HRAI’s strategy and wish is to not make its news agency a website for the public. The human right Organizations, committees and groups that began their work one after the other, were the result of the era of political and social reforms in Iran (reform period-Khatami’s presidency) and perhaps their life should have come to an end with the end of this reformist era; an era when discussion of civil society, formalist human rights, and citizenship rights took the place of direct discussions and political protests. Naturally, the media plays a positive role in making the Farsi-speaking audiences familiar with the international human rights reports and documents. HRANA showed a great interest and attention towards the rights of the prisoners in minority and in this regard started its activities at the time when the violations of human rights towards these prisoners were not reflected on the main stream media. This was the point that set HRANA apart from other Farsi-medias that cover Iran. Although after HRANA and coinciding with HRANA, it was these minorities that voluntary covered their news on weblogs and websites that they were creating. 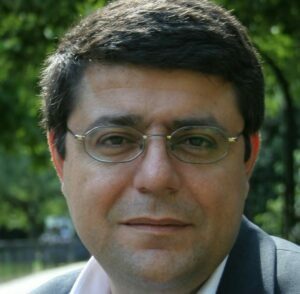 Over the recent years, the human rights projects in Iran, whether intentionally or unintentionally, were more concerned about the form of human rights rather than its content; they have tried to depoliticise human rights, and to always exist as a separate entity or even at odds with politics. Human rights as is connected to the system of government, is entirely political and any kind of attempt to separate it from the power structures is doomed to fail. Because as soon as, demands are made from the political system, those demanding rights have clearly stepped into politics; even if they deny it or not realize it. Over the past years HRAI activities has been limited to reporting human right violations of prisoners or in other words “victims”. The subject of politics is in fact, the subject of human rights, therefore it should not be considered the same as the rights of victims, prisoners and those who are deprived of their rights. A good path at this point for HRANA and such human rights projects, would be Addressing the confusions and contradictions of human rights or the rights of citizens, thus, in addition to promoting the idea of human rights, challenge the fact that these rights are conditioned to be a part of nation-societies and nation-states. Human rights, the way it has been introduced in Iran by the organizations defending it, is a human rights based on existence of a nation-state and being recognized within it. In this regard we see HRANA and similar organizations avoid addressing the rights of those who question or oppose the nation-state of Iran. These human rights projects ignore the right of those minorities who believe in the right to self-determination. In such circumstances, we should see human rights organizations linked to Iran can continue to challenge the common definition of human rights. How much is the impact of concepts such as “national identity and territorial integrity,” on these rights and its Iranian supporters? Would these projects for example be able to fairly and equally pay as much attention to the right of self-determination to the extent of political and geographical separation, as much as they do to human rights over the environment? What kind of place, Elimination of basic and ethnic discriminations such as natural right to choose to learn and use of one’s mother tongue in work and everyday life, the right to political self-management and such a rights have within these projects? Answering these questions could lighten the path for the continuation and advancement of activities of human right groups such as HRANA. Reporting on human right violations is difficult in autocratic regimes. The violator of human rights will never admit these violations and will not easily provide you with news and documents. True and accurate reports, is what HRANA has worked towards from the very beginning of their work. This website by benefit from reliable sources, gradually earned their proper place in the media; to the extent that today, at times it’s the first or the only source of news in fields such as political prisoners. One of the remarkable features of HRANA, would be covering news on all sort of prisoners and victims of human right violations, without considering their political, religious or racial believes. Many unknown prisoners have been made important and heard of through HRANA. I hope that HRANA continues to grow, and continue to become more professional and effective. Without any doubt, without HRANA the Media society would have lacked a good source that professionally covered the issues regarding human rights.